Just over a week ago on Saturday, October 27, the world was stunned when a shooter opened fire on the worshippers at the Tree of Life Synagogue in the Squirrel Hill community of Pittsburgh, Pennsylvania. Before law enforcement could arrive and subdue the shooter, 46-year-old Robert Bowers, he’d already taken eleven lives and wounded many others, including two of the responding SWAT officers. The entire violent exchange lasted nearly twenty minutes before Bowers was wounded and surrendered. As expected after all tragedies, the medical community of Pittsburgh quickly stepped up to help, rushing aid to the victims and working as hard as possible to ensure that the number of dead did not rise by a single person more. Nurse Mahler could have requested to be given another assignment and no one would have blamed him, but instead, he stayed true to his commitment to nursing, and began treating Bowers as best he could. 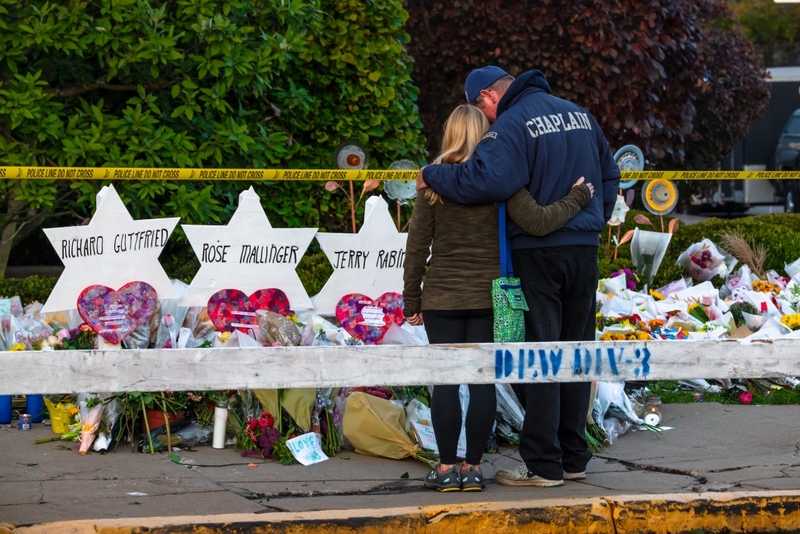 The son of a rabbi, Nurse Mahler says that he’d been no stranger to anti-Semitism as he grew up, even in the relatively peaceful community of Squirrel Hill. “I found drawings on my desks of my family being marched into gas chambers, swastikas drawn on my locker, and notes shoved inside of it saying, ‘Die Jew. Love, Hitler.’ It was a different time back then, where bullying was not monitored like it is now,” he wrote. This experience could have made him bitter. It could have easily driven him to hate those who hated him and his family. But instead, he began to see the perpetrators as people acting out of ignorance, a perspective that played a huge part in his treatment of Bowers. Mahler said he did his best to treat Bowers with compassion and empathy, and that he felt that the best way to honor his victims was for a Jew to prove him wrong. “Love. That’s why I did it,” Nurse Mahler concludes in his post. “Love as an action is more powerful than words, and love in the face of evil gives others hope. It demonstrates humanity. It reaffirms why we’re all here. The meaning of life is to give meaning to life, and love is the ultimate force that connects all living beings. I could care less what Robert Bowers thinks, but you, the person reading this, love is the only message I wish instill in you. If my actions mean anything, love means everything. The world needs more nurses, and for more information on becoming a nurse or medical assistant, you can contact Eagle Gate College today to begin your journey.